Who were the mountain men? They were the pathfinders of yore, lovers of nature, and fiercely independent. They lived and roamed the mountains and back-country of America from the 1800s to about the 1860’s. They were America’s original survivalists; trapping beaver, muskrat, and otter, and living off the land. Traveling through the countryside dressed from head to toe in his homemade buckskin outfit, the mountain man plied their trade mostly in the Rocky Mountains, and became instrumental in opening the uncharted west to the settlers that would eventually pour in on covered wagons. Because of the mountain man’s fierce independence, bravery, and willingness to follow his bliss in the face of untold danger, the American West was made more accessible to settlers. These men were the symbol of freedom and life on the new frontier of America. Some saw them as renegades and even criminals because of the life they lived; they were fearless and embodied the American spirit, living by their own laws. But they were here before the settlers, carving out the wilderness and making the settlers’ way easier. As a result of this, the first settlers of our country owe these men a debt of gratitude. The trappers made a conscious choice to live life in the wilderness, believing that this life was what they were called to do. Many of them survived attacks from the Blackfoot and Comanche Indians who already lived in the area. Eventually, the trappers and the Indians became friends and learned to work together and even intermarried, but that wasn’t until after much bloodshed. Along the way, various Indian tribes shared their knowledge of living off the land and partaking of nature’s abundance. A trapper’s daily life included danger and discomfort as they risked their lives crossing rushing rivers and wading into icy streams to set up their traps. Hunger and possible death or dismemberment were always just one step behind them. When all was said and done, these trapper experts considered it all worthwhile because they were living out their passion in the heart of Mother Nature’s bounty. The mountain man pushed ever onward into uncharted territory, never phased by myriad hardships, living their lives by their own exacting specifications. It was a life that few of us could live today. Even though the life they lived was on their own terms, the lure of the money they made from the furs did play a part, spurring them on to the next cache of highly valued beaver pelts. This list doesn’t include the gear he carried on his person; his skinning knife, which was so important to him that, if it was lost, he would backtrack for days to find it. He carried flints in order to start a fire, something similar to a bota bag for water. He carried a bag that was something like a purse; in it, he might have kept money and things very dear and valuable to him. The main occupation of the mountain man was to trap beaver, skin them, and then sell them at annual fur rendezvous. A large fur trade sprung up as the demand for beaver pelts grew. During the first half of the 1800’s, beaver fur was very much in demand for hats and coats. The mountain men were trapping and skinning as fast as they could to keep up with demand. The Pacific Fur Company, the Rocky Mountain Fur Company, American Fur Company, and the Hudson’s Bay Fur Company were the best known. Once a year they sponsored a fur rendezvous where trappers met up and sold their beaver pelts, called plew. Finely pulverize all and stir well. After trapping the beaver, skinning him, and scraping the skin off with his special hide hunter’s knife, he then stretched the hide out to dry on a hoop frame made of willow branches. It may have taken it several days for the skins to dry, depending on the weather. While the hides were drying, the mountain man had time to relax and enjoy the beauty of nature all around him. His meal that evening would consist of a few crispy beaver tails roasted on the open fire and several cups of hot black coffee. 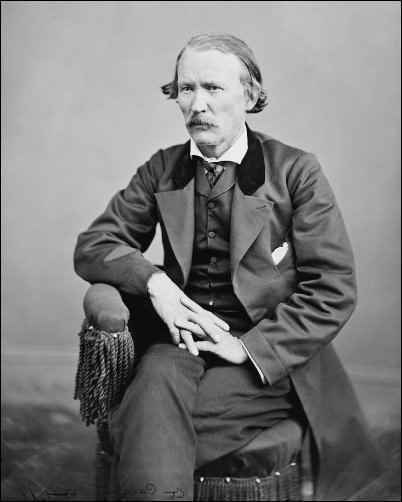 Kit Carson, born in 1809 in Kentucky, was the quintessential mountain man. The list of his accomplishments have filled many books, and been the subject of many folk tales, some exaggerated, but based on truth. This American mountain man and frontiersman, was larger than life. Kit began life as Christopher Houston Carson in Madison County, Kentucky. Kentucky is, for some reason, where many of the mountain men of yore were born and raised. He was one of fifteen children, large families being the norm in frontier days. The family lived in territory thick with Indians. The Kickapoo, Winnebago, and Pottawattamie tribes were just a few that roamed the area and were in competition for the same game and natural resources the Carson family and other settler families depended on. From his earliest days, Kit Carson was taught to beware of Indian attacks that could happen at any time, and from this, he learned to be ever vigilant. Even as a youth he was the protector of his brothers and sisters, who always felt safer when he was near. Life on the open territory was no doubt a rough one, but it was where the seeds of Carson’s greatness were first sown. Kit learned about trapping and the trapper’s way of life at the age of 14 when, as an apprentice in a saddle shop, he heard the tales of the mountain men who frequented the place. Just two years later, knowing the apprentice life wasn’t for him, he left the saddle shop and joined the wagon trains going west on the Santa Fe Trail. This was the beginning of his adventurous life. He grew into a man known for his strong character and for taking on responsibility and leadership. He was also a trapper, and Indian fighter who later became an Indian agent, authorized to interact with the Indians with the goal of preventing conflict with other tribes and with the U.S. government. He was a courier and a scout during the Mexican-American war. After the war, he traveled all the way from California to Washington, D.C. with news of the war. So vast was his legend that he became a star of the dime novel, so popular in the 1900s. Kit Carson had the personality and the courage it took to play a key role in the early days of our republic. Matthew Kinkead, who was himself a trapper and explorer, lived in Taos, New Mexico and taught Kit the skills of a trapper. Carson also learned the different languages of the Spanish people and the Indian tribes, becoming fluent in at least seven tongues. This is quite impressive, considering he himself was so illiterate and could only sign his own name and never learned to read. Throughout his years as a trapper, Carson worked alongside many of the well-known trappers of his day. They traveled the Yellowstone, Powder, and Big Horn rivers and trapped beaver in what were the then unknown territories of Colorado, Wyoming, Idaho, and Montana. Kit Carson married Singing Grass of the Arapaho tribe; they had two daughters, but Singing Grass died of a fever after the birth of their second daughter. Carson later married another Indian woman and they had eight children. Their descendants live in the Arkansas Valley of Colorado today. Carson died in Fort Lyon, Colorado in 1868. 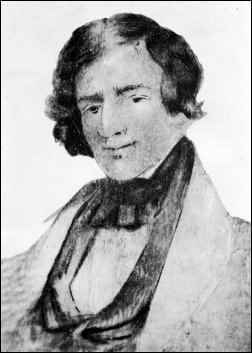 Jedediah Strong Smith took up the life of a mountain man at the young age of 22. Born January 6, 1799, his spirit of wanderlust gave him the desire to see virgin lands and to follow the rivers and streams wherever they may lead him. He took up with General William Ashley’s expedition and traveled up the Missouri River, trapping beaver as they went. Smith was a natural-born leader and soon led his own expedition into the Rockies where he rediscovered the forgotten South Pass. This pass was crucial to the settlement of Oregon and California in the years to come. As a young lad, he read about the adventures of Lewis and Clark and was very influenced by them. Smith was known as a very spiritual man, as mountain men go. He never drank, smoked or swore. He was strict about following his calling as a mountain man and stopped often along the trail to pray and write in his journal. Smith never married and is remembered for his Bible around the campfire. He was known to have traveled more miles than any other trapper of his time. He crossed the Sierra Nevada mountain range and the Great Basin, which contains valleys, lakes, basins, and mountain ranges. It’s believed he was the first white man to do so. Smith died in 1831. He joined an expedition with the Missouri Fur Company traveling through the Rocky Mountains to bring back an excellent collection of beaver hides. 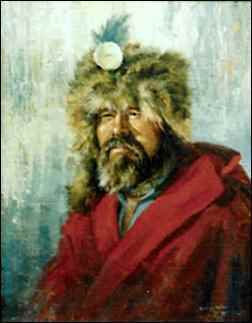 Colter was chosen to be the man to go out across the tundra and visit the area’s Indian tribes to let them know of the mountain men’s presence, of the expedition in the area, and to trade with them. It has been said that Colter was the first to white man see Jackson Hole and Yellowstone Lake. Mountain man John Colter was a travelin’ man. Born around 1773 and died 1813, he had traveled across the continent twice with Lewis and Clark. Armed with lessons he learned from them about the wilderness life of filled with grizzly bears, snowy nights around the campfire, and fighting Indians like the vicious Blackfoot tribe, Colter felt himself ready to continue the restless life of the mountain man. He was loving the life of the mountain man and everything was going fine until, one day, while trapping beaver, he and a fellow trapper were ambushed by some Indians from the Blackfoot camp nearby. Colter’s partner was killed and he himself was told to strip naked and start running. He quickly complied, realizing that he was now the object of their hunt. He was the hunted, and run he did, for several miles. At one point he turned around and saw there was only one Indian behind him, with spear in hand; the rest of the tribe was nowhere to be seen. Colter and the Indian fought, Colter won, took the spear and Indian’s blanket and continued running. He eventually came to a river where he hid, successfully, from his pursuers. They never found him; when he felt the coast was clear he got up and walked to Fort Raymond, some 200 miles away. John “Grizzly” Adams, an amazingly eccentric shoe salesman turned mountain man/animal trainer. Grizzly Adams was born in 1812 in Massachusetts and was a relative of our second and sixth presidents, John Adams and John Quincy Adams. He was also related to Samuel Adams, the Revolutionary War patriot. 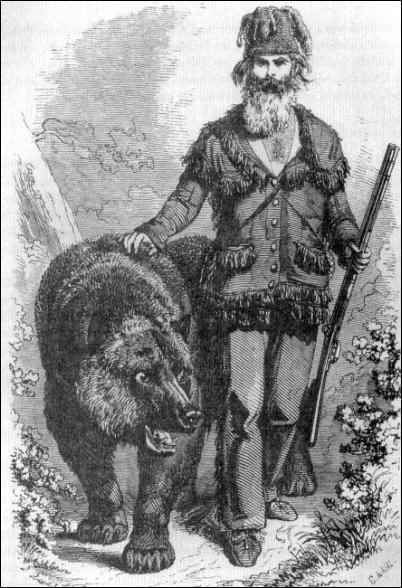 John “Grizzly” Adams had always had a way with animals, but since his father had apprenticed him as shoemaker, that was the direction his young life took. He worked at this trade for fifteen years, during which time he married and raised a family. He and his family lived a quiet life until 1849 when the Gold Rush hit and he felt the urge that so many others did to head west to improve his family’s fortunes. Things did not go well for the Adams family and three years into the venture, John “Grizzly” Adams turned his back on civilization and all that it offered. He decided it was time to follow his dream and he headed for the Sierra-Nevada Mountains. When he got there he built a cabin and lived the life of the mountain man, among the wild animals that were so dear to him. It was there that he began the grizzly-bear career he’s so well-known for. He also developed into an expert mountain man, learning the ways of nature and communing with the surrounding Indian tribes. He was so close to his bears that he gave them names and even used them as pack animals. When he tired of life in the mountains, he moved to San Francisco to put on animal shows. Several years later he moved to New York, paraded his animals down Broadway and was offered a contract with P.T. Barnum’s circus. The life of the mountain man was an exciting one and one that makes for great stories even today. It’s fun to imagine how they traveled through unknown territory, depending on their wits and survival know-how. They trapped beaver and sold the pelts at annual fur rendezvous across the west. The rendezvous was about the only time a mountain man got to meet up with and get face-to-face contact with other trappers. The rest of the time, he lived and traveled the back-country completely alone, only occasionally teaming up with other trappers. Those days of roaming free on the land, having no laws, no neighbors, and no boundaries are long gone. The life they lived was solitary and dangerous, but they lived it willingly and became specialists in their field. We today will never know the courage it took for them to travel their solitary roads knowing that the next grizzly bear or Indian attack could be just around the corner. His travels across the uncharted territory, that was then a new and unmapped country, opened the way for future generations of Americans who will never know the struggles of the mountain men.